Most Tinder users agree that a profile bio is a key factor, determining whether potential suitors will write to you or not. Typically, guys and girls are looking for a hook to start a conversation exactly in an About Me section. 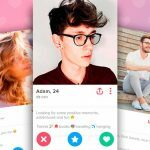 In this article, you will know not only how to make an attractive Tinder bio, but how to leave an appealing icebreaker in your self-description to encourage them for communication. 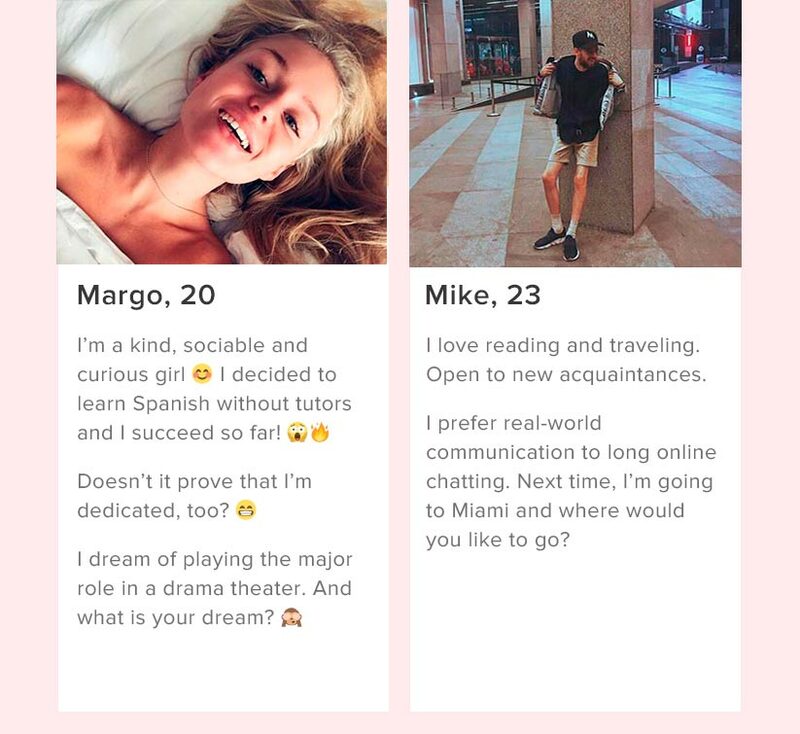 Short self-descriptions or simple bio are generally found on Tinder. Of course, most information about a person remains in the background, and a short bio does not always allow one to hook on communication. 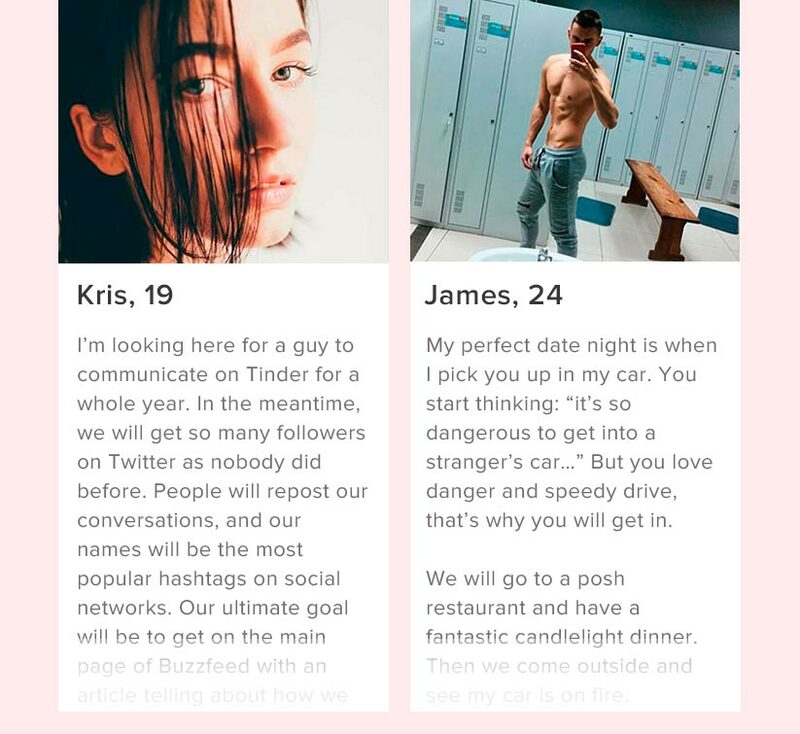 But I prepared a pack of simplest (and shortest), yet very effective Tinder Bios that will help you tell a story about yourself. 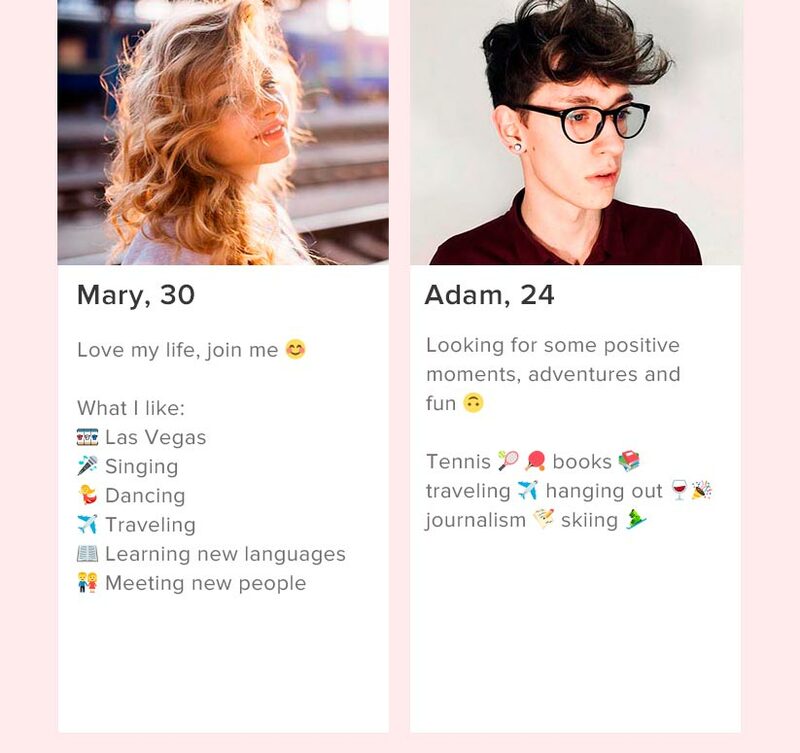 Tips: Including some Emoji into the list of your hobbies allows profile viewers to instantly know about your lifestyle without reading a long self-description. Note: if you have many interests in life, do not enumerate them all, but mention just some of them and not more than 7 – nobody wants to waste time on long and boring reading! Very often I noticed that profiles look like sets of random words or just piles of unrelated tags. 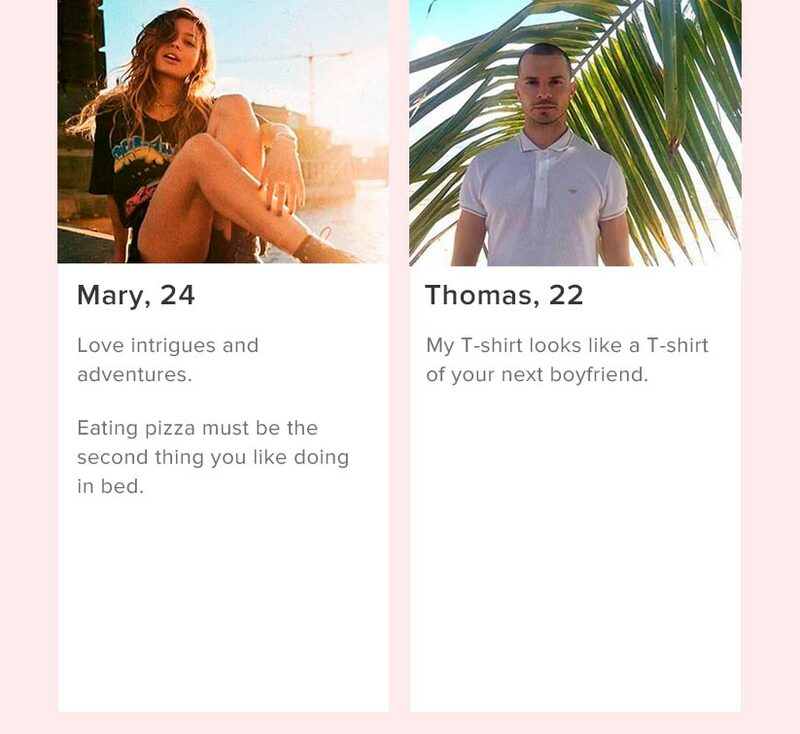 However, a profile in Tinder has nothing to do with pictures on Instagram, under which you need to put as many tags as possible to reach to the audience. This trick simply doesn’t work on Tinder. What I would like to add from the first example is hobbies. In my opinion, then it would be a very bright Tinder bio. What do you value in people, in life, and what do you value in yourself? – Here you can speak about the traits of character, positive habits, things that inspire/delight you, etc. What are your hobbies? – Mention here your favorite amusements which can keep you busy for hours without a break or things that delight you most. What is your goal? It helps your interlocutor understand what kind of person you are looking for on Tinder, thus, saving the time of you both. 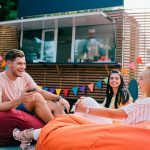 Are you searching for a friendship, serious relationship, virtual communication or a cool company to hang out with? Did you ever meet someone when you can talk for hours and lose track of time? The day when I get a dog will be the happiest day of my life. Adore everything new, interesting, and exciting. Cannot imagine my life without entertainments and having fun. I believe that all happening to us is not by accident. Everything is interconnected in this world. Psychology, science, and art are what helps me to learn the outside world and myself. Would like to find a smart girl with a proactive attitude with non-banal views and beaten interests. I think that the environment plays the most important role in one’s life because it, in particular, influences the way we think, and, in general, determines our worldviews. That’s why I prefer to communicate with people who can keep an interesting conversation flowing. I have my own goals and I strive to achieve them)) It’s important for me to find a man whom I will be inspiring to reach more together, to enjoy life, and build a close-knit family! 💛 Life and know the value of time, both mine and people’s around me. Speak 4 languages, love travels, nice food and wine. I am interested in architecture, art and history (I am little bit historical nerd but it’s very helpful during travels) + also, like books, cinema and tv-series. Generally, I am an easy-going, seems like smart guy with a sense of humor who doesn’t mind to meet here someone for chatting, friendship or maybe something more. 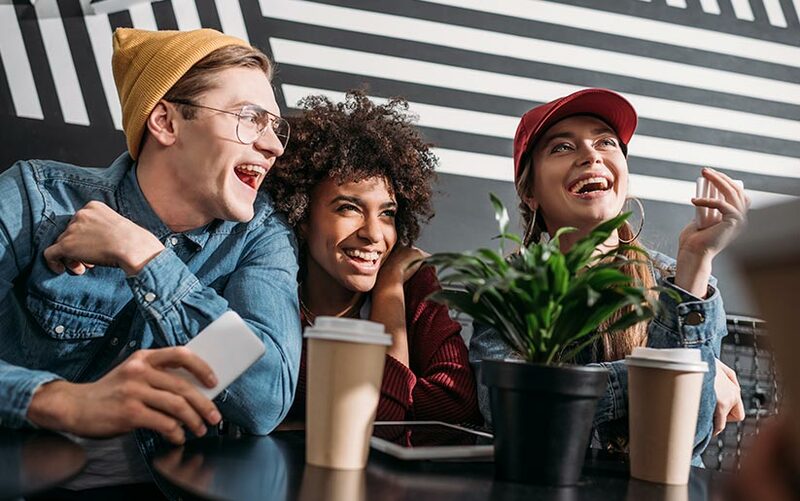 Tips: In my opinion, the “values + interests + goal” formula is the quickest way to success, because you do not waste time on the app but find precisely those people who have similar interests and views of life. 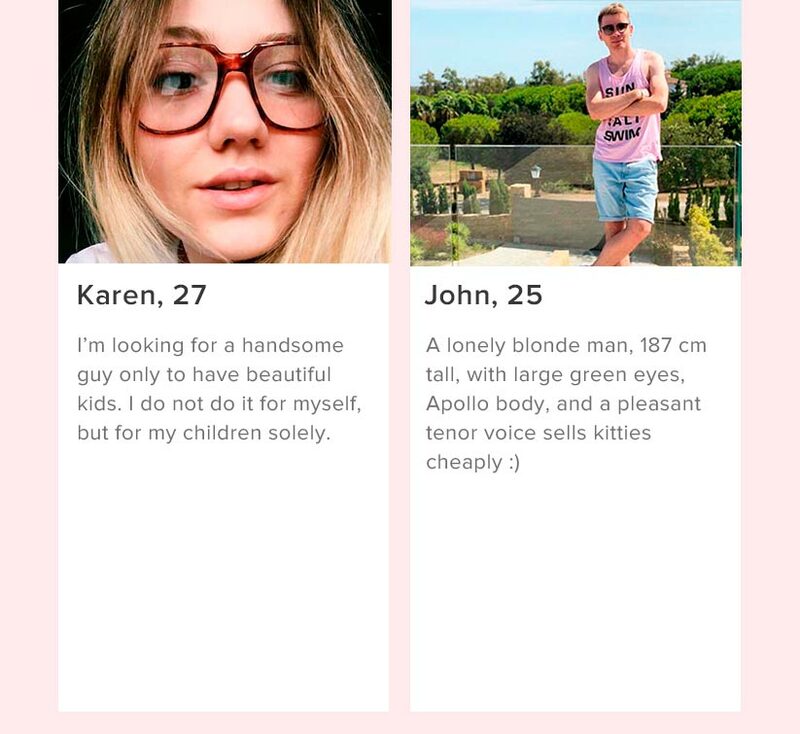 Good Tinder bio lines help you understand what kind of person you are dealing with and what goals they pursue: to found a family in future, to meet a person for long-lasting relationships or just to find someone to chat with. 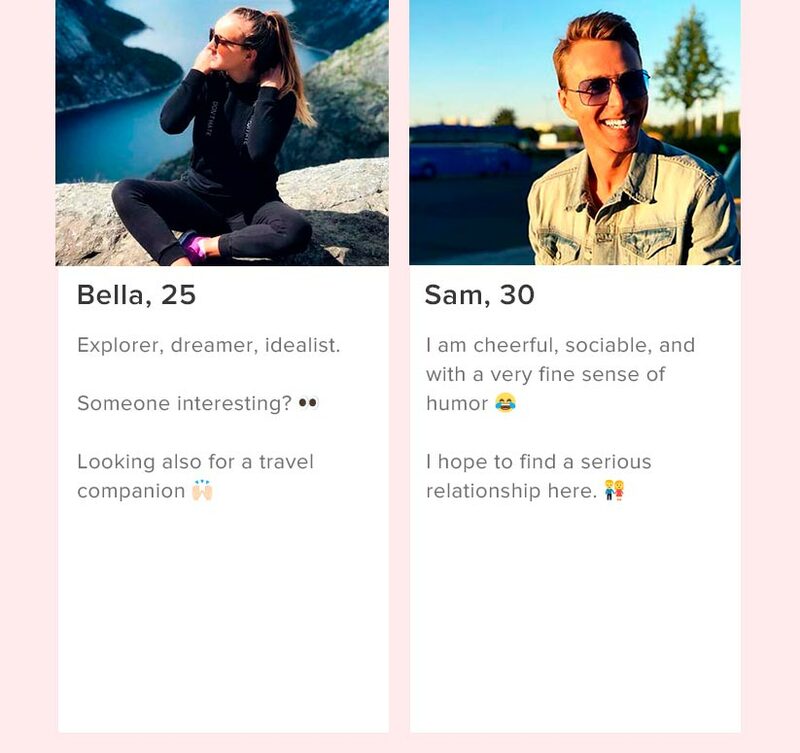 If standard Tinder Bio stories seem boring to you, or you would like to stand out of thousands of profiles and break trivial patterns, then try to think outside the box and create a really attention-grabbing self-description. I’m looking here for a guy to communicate on Tinder for a whole year. In the meantime, we will get so many followers on Twitter as nobody did before. People will repost our conversations, and our names will be the most popular hashtags on social networks. Our ultimate goal will be to get on the main page of Buzzfeed with an article telling about how we met. 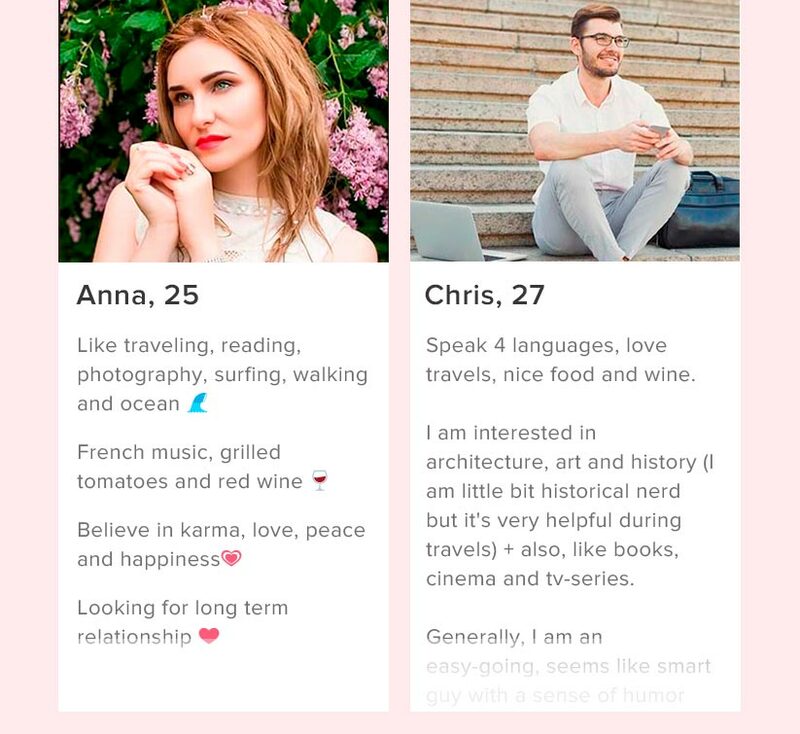 When the whole world knows about us, Tinder managers will offer to sponsor our wedding, and accompanied by the R. Kelly – I believe I can fly song, we will go for a honeymoon trip. My perfect date night is when I pick you up in my car. You start thinking: “it’s so dangerous to get into a stranger’s car…” But you love danger and speedy drive, that’s why you will get in. We will go to a posh restaurant and have a fantastic candlelight dinner. Then we come outside and see my car is on fire. You will say: “Oh God, James, your car is on fire! What are we going to do now?? ?” And I will look into your beautiful eyes and kiss you passionately, in front of my burning car. Tips: A creative profile has a 100% chance to draw much attention of potential matches, because, according to my estimations, such bios are very rare, say one in 300 profiles. This means that even if you spend an extra hour inventing something really extraordinaire, you will finally sell yourself effectively. Moreover, it could happen that your story would make it to the front page of Buzzfeed! Having a funny, joyful, humorous bio is a fad on Tinder today. First, many people register on Tinder just for fun. Second, funny Tinder bios set for a positive perception of the acquaintance process. Third, such biographical profiles help build easy and pleasurable communication. I’m looking for a handsome guy only to have beautiful kids. I do not do it for myself, but for my children solely. Eating pizza must be the second thing you like doing in bed. My T-shirt looks like a T-shirt of your next boyfriend. 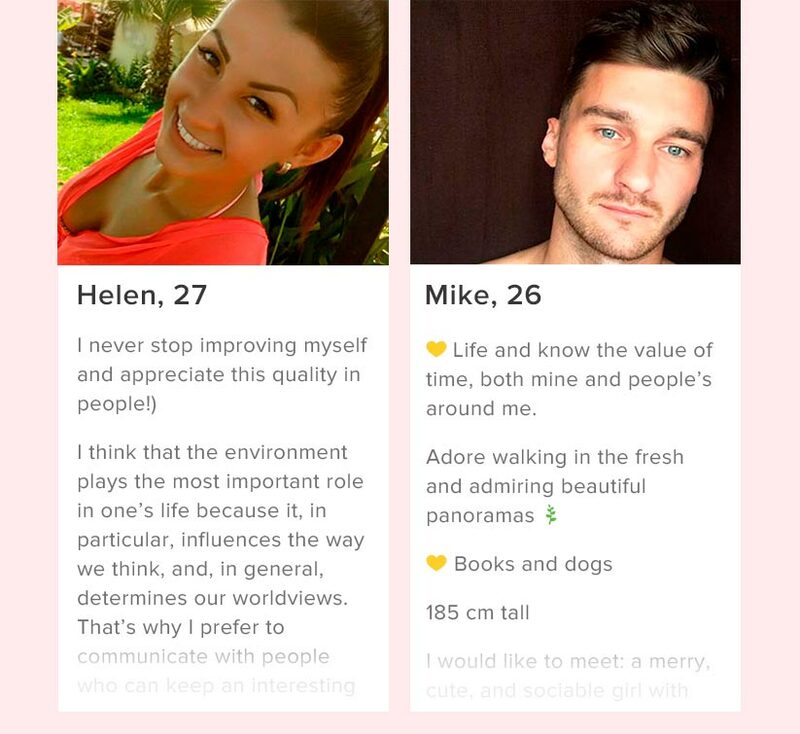 Tips: A hilarious Tinder bio proves that you have a good sense of humor, which is always welcome on Tinder. A funny self-description brings out positive emotions in a person who reads it, prompting him or her to start a conversation. Users will write to you first in 5 out of 10 cases if your bio makes them crack a smile. A good man is as strong as his woman needs him to be strong. A real woman does not agree the first time. A real man never offers twice. Tips: My experiences show that witty bios are not as effective as funny. 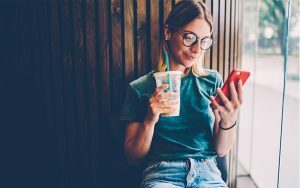 This is due to the fact that the Tinder app originally was designed for dating, and the easier it is to start a conversation, the quicker the results. And what can be better than having fun together? The main conversation hook which 95% of users don’t use. You, probably, often notice that Tinder users are reluctant to open a conversation. It is a common situation when they do not have any self-description and single selfie. How to start a conversation in such a case? Only banal “Hello” comes to mind. 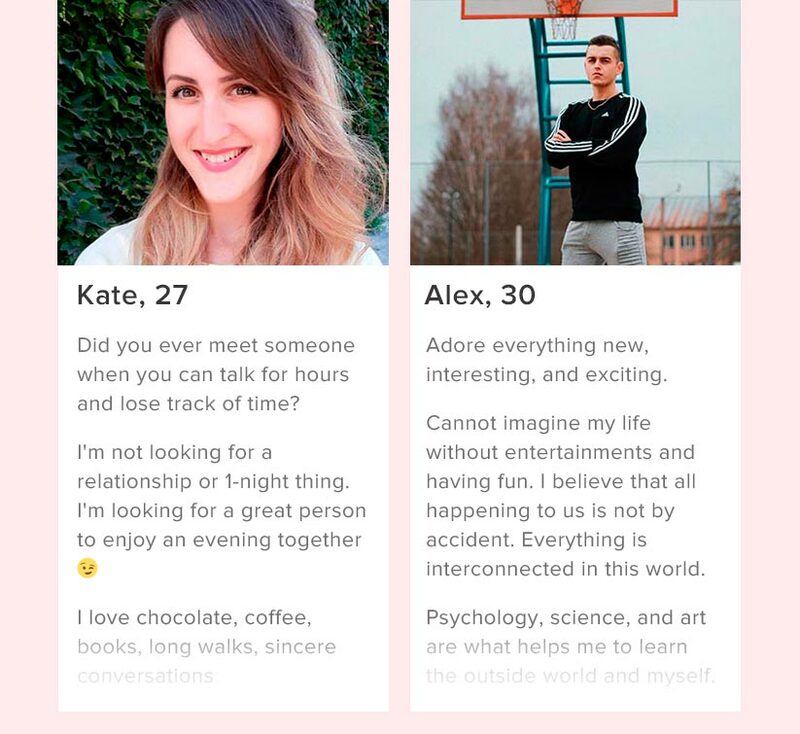 That’s why I found a very simple, yet very effective way to help Tinder users take the first step in communication – an open-end question in your Tinder bio! When users study your profile and notice such a question, it will work like a prompt to communication. I love reading and traveling. Open to new acquaintances. I prefer real-world communication to long online chatting. Next time, I’m going to Miami and where would you like to go? Tips: Seldom did I meet Tinder bios with open-ended questions, so that it was quite a challenge to detect such profiles. There is another trick that works – you can periodically change a question in your bio. And most important: you can ask such questions which encourage your readers to act. 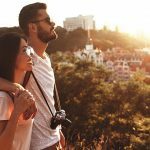 For example, “Let’s go to the movies for a premier tonight?”, “Would you like to go to a skating-rink?”, “What about cycling?” or “Let’s have a picnic out of town?” By doing so, you propose to spend time together nicely and increase your chances to find like-minded people, too. 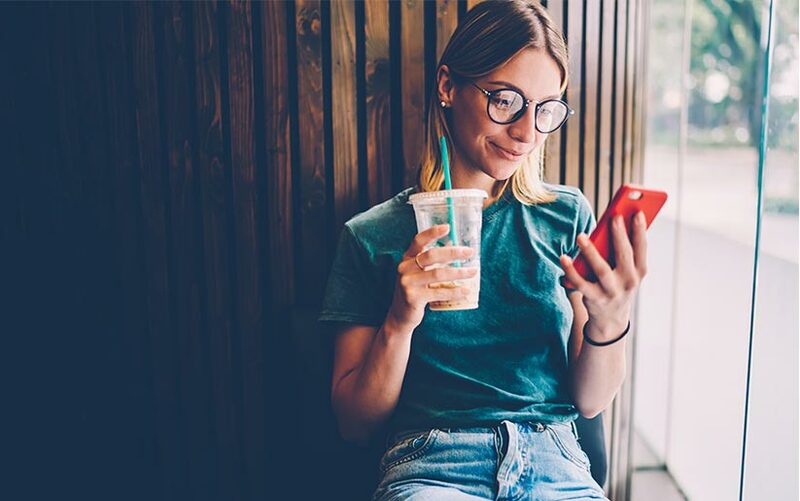 Don’t be afraid of experimenting with your Tinder bio, and then you will find the perfect concept that would suit your lifestyle, goals, and interests. Based on my observations, exactly creative Tinder bios and funny Tinder bios are the most popular with the users of this dating app. 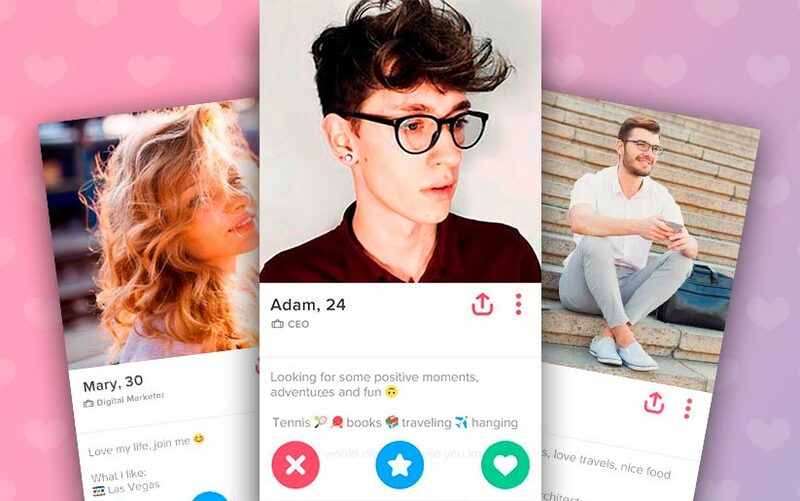 Practice shows that creative or funny Tinder bios produce a positive impression about your personality, which means that your profile will receive Likes or Superlikes much oftener.